SPRING into a fresh new look this season. It‘s time to switch your wardrobe, make up, nail polish and, of course, your hair. 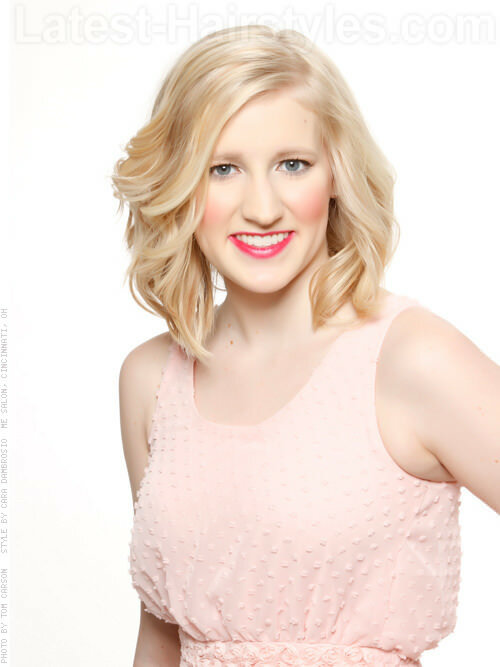 Finding a new look for you mid-length gals is going to be a breeze! There are so many combinations of cuts, styles and colors to try. 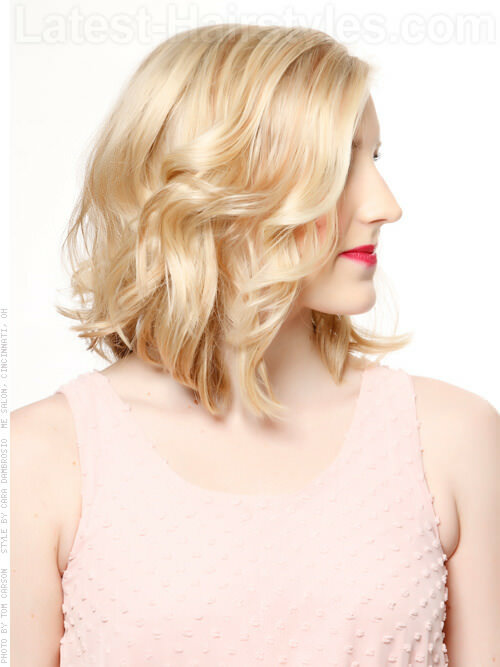 Here are some spring-perfect medium length hairstyles and a few ways to wear each one. Wearing hair sleek and straight is one of the hottest trends this spring. 1. Apply a smoothing product to wet hair. 2. Blow dry the hair as smooth as possible with a styling brush. 3. Use a flat iron to further smooth and polish the hair. 4. Apply a shine serum to hair. Relaxing Balm by Paul Mitchell smoothes and controls the hair while protecting it from heat. All face shapes and hair types will look great in this style. A great way to customize sleek and straight hair is to add a fringe that compliments your face shape. 2. Blow dry the hair beginning with the fringe area. 4. Apply a shine serum to the hair. Gloss Drops by Paul Mitchell adds a luminous frizz-free finish when applied to dry hair. Longer face shapes with any hair type will look best with this style. Another way to customize sleek and straight hair is to wear it choppy and add an edgy fringe to it. 3. Smooth and slightly flip the ends of the hair out with a flat iron. 4. Apply a product for texture and detail the style with fingers. Spray Wax by Paul Mitchell will allow a controlled and even distribution of flexible texture to the hair. Heart shaped faces with medium density will look best with this style. Braids have been in style and will remain so this season, but with a few creative tweaks. 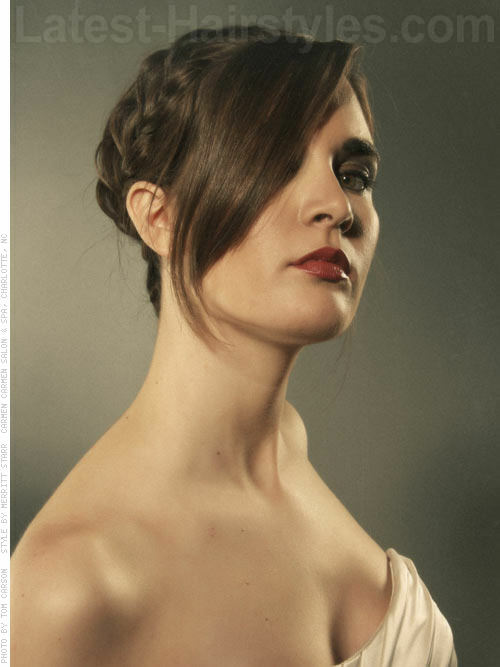 This style is a French braid done low and to the side with the ends tucked underneath. 1. Braid hair into a low side French braid. 2. Secure with an elastic band. 3. Fold the ends underneath the braid and secure with a bobby pin. Smooth flyaways with Soft Spray by Paul Mitchell. It’s slightly wet delivery will easily tame fly aways and frizz. It will also help control hair more while braiding. 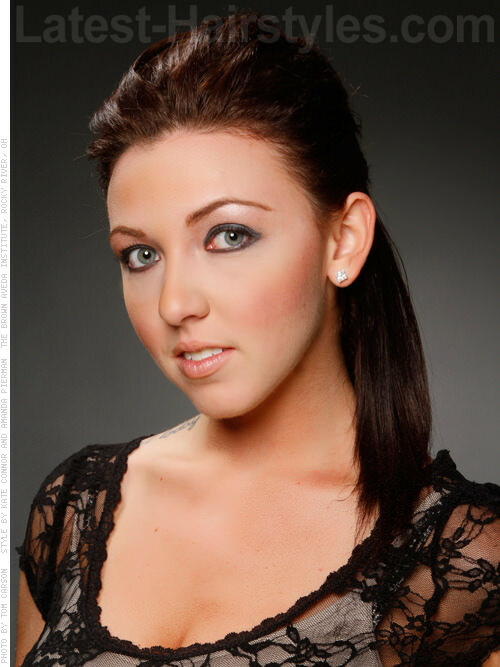 All face shapes with medium to high density hair will look good and work well with this style. Take your French braiding skills to the next level. A waterfall braid is just like a French braid, except you drop the piece from one side and pick up a new piece to add to your braid. 1. 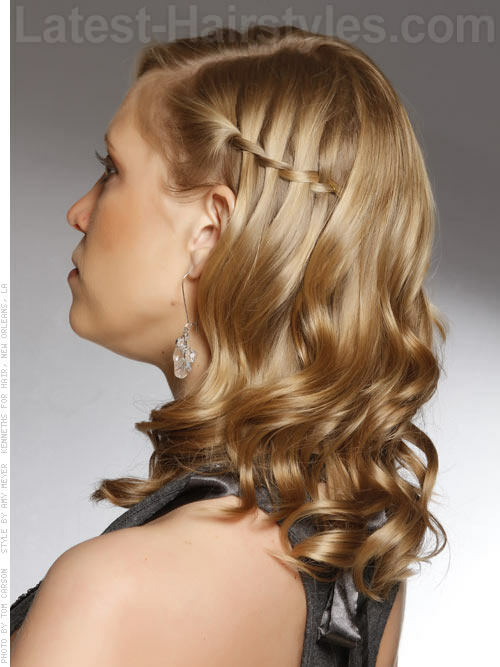 Begin with hair that has been curled and parted to the side. 2. Divide the hair on the hairline of the lighter side into three pieces: bottom, middle and top. 3. Braid the hair once. 4. Add a piece of hair from the top of the head to the top piece of your braid. 5. Put the top piece over the middle piece. 6. Drop the bottom piece of hair and replace it with a piece of hair from the bottom. 7. Put the new bottom piece over the middle piece. 8. Repeat steps 4 to 7 until you reach the back of the head. 9. Secure the waterfall braid with a clear elastic band. 10. Hide it underneath hair using a bobby pin. 11. Set the style with a flexible hold finishing spray. Hold Me Tight by Paul Mitchell secures a style without looking or feeling stiff. All face shapes and hair types will look fabulous in this style. This gorgeous style features two hot trends for spring: a braid and a bun. 1. With the hair parted and the fringe area left out, take a section on top of the head a divide it into 3 pieces: top, middle and bottom. 2. Braid the hair once. 3. Braid the hair once again, but this time adding some hair to the top and bottom pieces of the braid. 4. Continue braiding this way until you reach the bottom of the back of the head. 5. Gather all hair into a low ponytail and secure with a clear elastic band. 6. Twist hair into a bun. 8. Set the style with a finishing spray. Apply Gloss Drops by Paul Mitchell to the hair before braiding. It gets rid of frizz and adds a lot of shine to the hair. All face shapes with medium to high density hair will look great in this style. Twisting hair is a beautiful and easy alternative to braiding hair close to the head. The bun and the pieces of hair left out give this style an undone look which is another trend this spring. 1. Starting at the front of the hair parting, begin twisting the hair, adding sections of hair to your twist as you twist towards the back of the head. 2. Once you reach the bottom center back of the head, hold the twist in place with a clip. 3. Repeat the same process with the other side of the head. 4. Remove the clip from the other side and join both sides into a low ponytail. 5. Twist the ponytail into a bun. 6. Secure with bobby pins. 7. Create tendrils by loosening pieces of hair with fingers. 8. Set with a finishing spray. Extra-Body Finishing Spray by Paul Mitchell is perfect for updos. It holds the hair in place and adds shine to the hair. 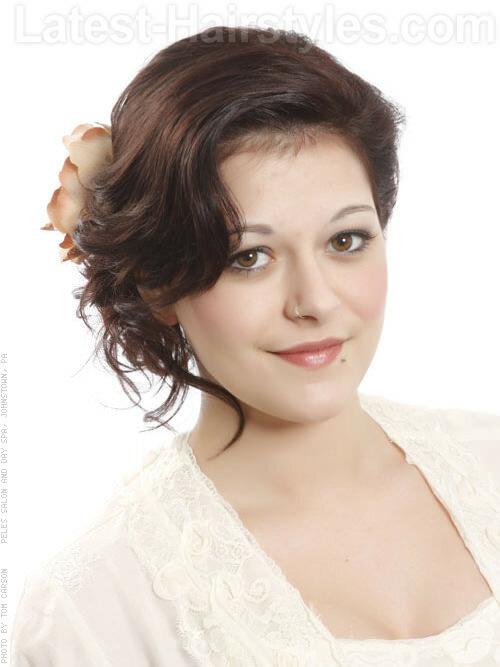 An oval and heart shaped face with medium to high density hair will look great and work well with this style. This sleek low chignon is not only timeless but totally on trend this season. 1. Apply a heat protection product to dry hair. 2. Smooth hair with a flat iron. 3. Gather hair into a low ponytail and secure with a clear elastic band. 4. Lift the ponytail up against the head shape and pin it to the hair underneath, about an inch above the base of the ponytail. 5. Tucking the ends, roll the hair downwards and secure with bobby pins. 6. Smooth fly away and set the style with a finishing spray. Extra-Body Finishing Spray by Paul Mitchell will hold the hair in place, smooth frizz and flyaways, and give the hair shine. Depending on the fringe area, any face shape could wear this classic style. Fringes cut straight across can make a longer face appear shorter and make square faces appear more angular. 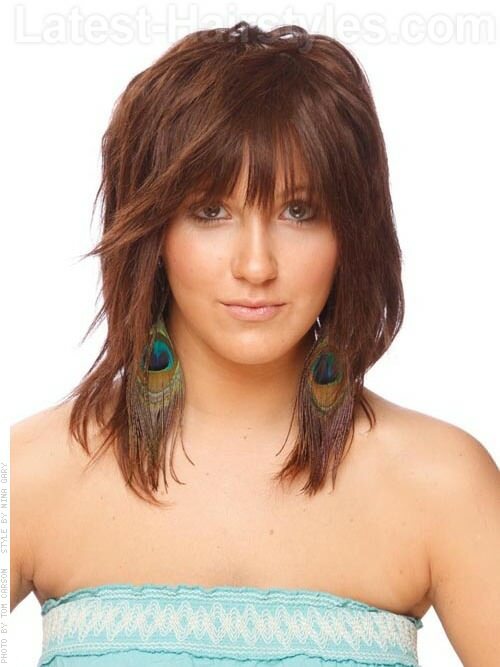 Rounded fringes like the one worn by this model could make round faces appear wider and rounder. A side swept fringe could make a face shape look longer or wider depending on whether it is closer to being vertical or horizontal. Wearing no fringe is the best way for an oval face shape to wear this style. Hair accessories were seen all over the runways at Fashion Week. Walk down your own runway with accessory-adorned hair. 1. Curl hair using a medium barrel curling iron. 2. 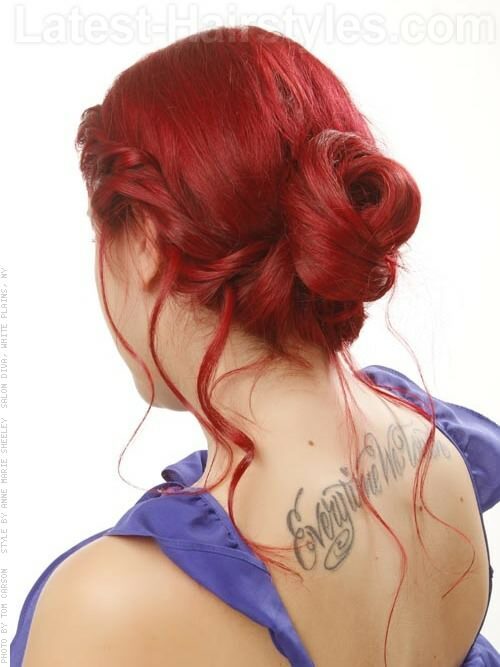 Pin hair up and to the side using bobby pins. 4. Attach a hair accessory. Extra-Body Finishing Spray by Paul Mitchell will hold this style up and add shine to it. 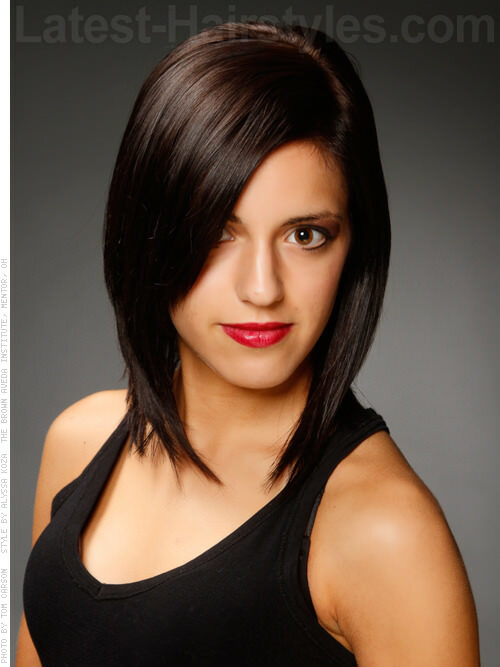 This style looks great on all face shapes with hair that has medium to high density. 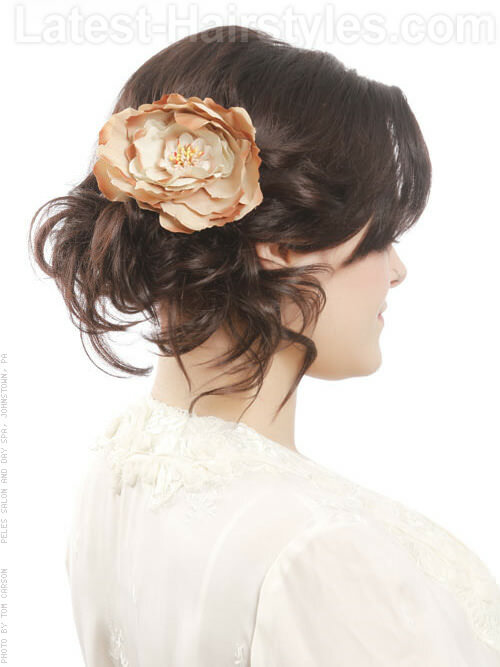 This is the perfect second day hairstyle for hair that has previously been styled straight. 1. Start with hair that has been straightened. 2. Tease the hair on top of the head with a teasing brush. 3. Gather hair into a low ponytail and secure with a clear elastic. 4. Loosen pieces with fingers creating a messy look. Super Clean Spray by Paul Mitchell will give your style flexible hold and texture. 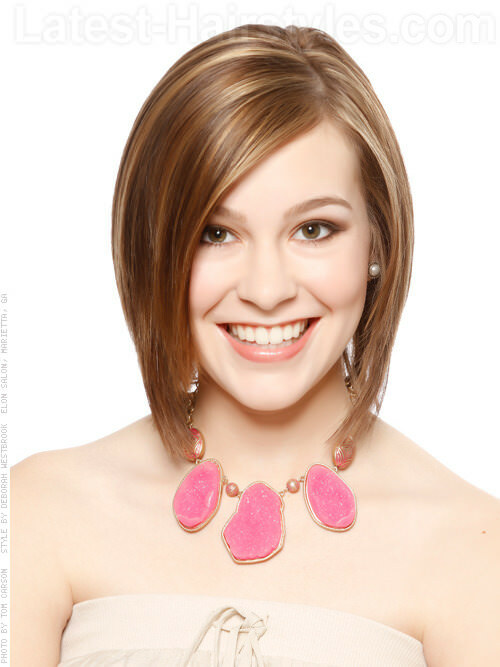 The added height to the top of the head makes this style ideal for wider face shapes with medium to high density. Another perfect way to wear a ponytail is with a little wave. 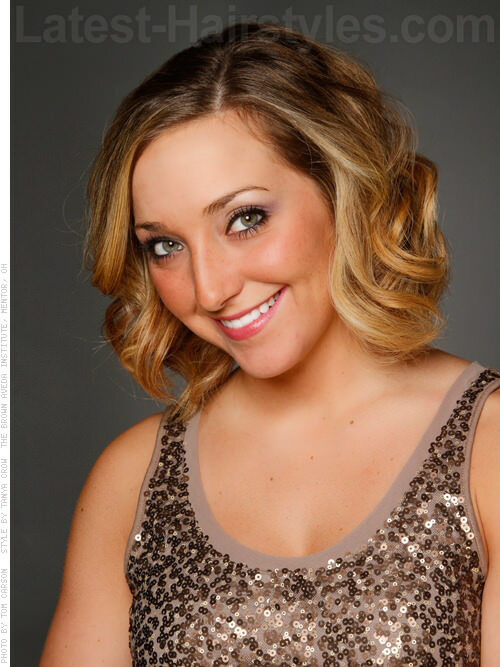 This is the perfect second day hairstyle for hair that has previously been styled with curls or waves. 1. Start with hair that has curls or waves. 2. Tease only the crown area with a teasing brush. For more volume, use a comb with fine teeth. 3. Gather the hair into a low ponytail and secure with a clear elastic band. 4. Cover the elastic band by wrapping a section of hair from the ponytail around it. 5. Secure with a bobby pin. The height created by the teasing in this style will give wider faces the illusion of length. 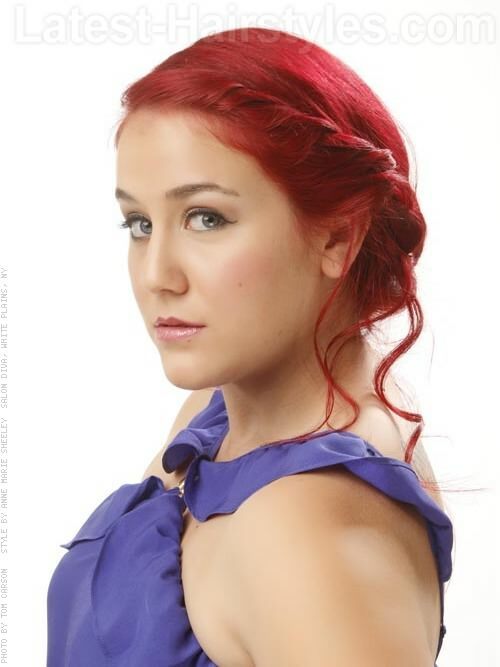 Add more style to your ponytail by braiding your hair close to your head shape and wearing your ponytail to the side. 3. Braid the hair once again, but this time adding some hair to the top piece of the braid. 6. Smooth flyaways and set with a finishing spray. Soft Spray by Paul Mitchell isn’t an aerosol spray. It’s slightly wet delivery does a great job in taming frizz and flyaway. 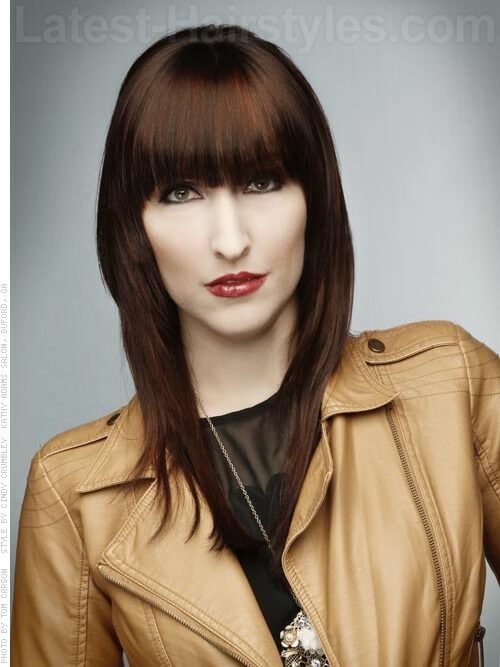 Depending on how the fringe is styled, this style could be worn by any face shape with medium to high density hair. The undone look is so in style this season. This style doesn’t just look undone and easy, it is easy! 1. Apply a volumizing styling product to wet hair. 2. Power dry the hair with the head upside down. 3. Once completely dry, immediately wrap the hair into a bun and secure with a bobby pin. 4. Do your make up, check your email or wash the dishes to kill time. The longer you leave your hair in the bun, the better it will look. 5. Once completely cool, release the bun. 6. Scrunch a texturizing product into the hair. 7. Set the style with a finishing spray. Spray Wax by Paul Mitchell is basically wax in a can. Its aerosol mist gives you an easy, even and controlled distribution of texture on any length of hair. This style will look great on any face shape with straight to wavy hair. This is another way to sport the “undone” look, minus the waves. 1. Apply a texture styling product to wet hair. 2. Power dry the hair. 3. Once dry, apply a texture styling product to dry hair. 4. To add more texture, gently rub sections of hair in between the palms of your hands. 5. Secure with a finishing spray. Apply Texturizing Sea Spray from Paul Mitchell’s Awapuhi Wild Ginger line to wet hair for a good texture foundation. Apply Spray Wax on dry hair for added texture. This style will look great on longer face shapes with hair that is straight to wavy. Air drying naturally curly hair is so easy and so beautiful when done with the right products and haircut. Consult with your stylist to get the best cut for your face shape and type of curl. 1. Apply a curl enhancing product to wet hair. 2. Air dry or diffuse hair. 3. Curl straighter sections of hair with an iron that will produce a curl similar to your own. Twirl Around by Paul Mitchell will give your curls definition without the crunchy look or feel. This style will look great on any face shape with naturally curly hair. Simply adding a little bend to the ends gives a simple blowout a very polished look. 1. Apply your favorite styling product to wet hair. 2. Starting at the nape area, blow dry a section of hair with a large round brush. 3. Once dry, roll the section of hair into the round brush and wait for it to cool for a few seconds. 4. Release the hair and repeat the same process to all sections, working your way to the top of the head. Fast Form by Paul Mitchell will help your hair dry fast. Its long-lasting flexible hold allows your hair to bend following the shape of the round brush used. What is spring without soft feminine curls to go with those spring dresses? 2. Curl sections of hair away from the face using a large barrel iron. Hot Off The Press by Paul Mitchell not only protects hair from the heat, but also helps your style last all day. All face shapes and styles will look great in this style. Winter has gone and spring is finally here! It’s time to begin lightening up your locks as the weather gets warmer. 1. Apply a straightening styling product to wet hair. 2. Blow dry the hair with a styling brush. 3. Smooth sections of hair with a flat iron. This look will compliment all face shapes and is easily styled on hair that is straight to wavy. It’s not just haircuts and styles that can affect a face shape, color placement can too! The ombre trend has been popular in the recent years and still is. This lovely organic look is fun, low maintenance and definitely still on trend. 2. Curl sections of hair in random directions using a large barrel iron. Super Clean Spray by Paul Mitchell is a quick drying medium hold spray that adds fullness and texture to hair. This style will look great on longer faces. The volume and lighter color on the sides will give the appearance of width. The darkness and lack of volume on top will prevent a long face from looking any longer. All hair types will work well with this style. Spring is all about pastels. Why not get pastel hair like this gorgeous rose pink hue? 2. Create a deep side parting with a comb. 3. Blow dry with a styling brush. 4. Smooth sections of hair with a flat iron. 5. Tease the crown area with teasing brush. 6. Secure tease with a firm hold spray. 7. Leaving the fringe area out, pin sides to the back. 9. Spray a shine product to hair. Extra-Body Finishing Spray by Paul Mitchell secures hair in place while giving it body and shine. Shine Spray by Paul Mitchell gives any style a luminous shiny finish without weighing the hair down. All face shapes with hair that is naturally straight to wavy will look good and work well with this style. There are so many hair trends going on this season and so many different ways to wear each one. Before trying any of them out, remember that spring is about renewal, rejuvenation, regrowth and resurrection. Your hair will need plenty of that after going through winter. Make sure to get a trim and a deep conditioning treatment to get your hair looking its best in any of these trends.